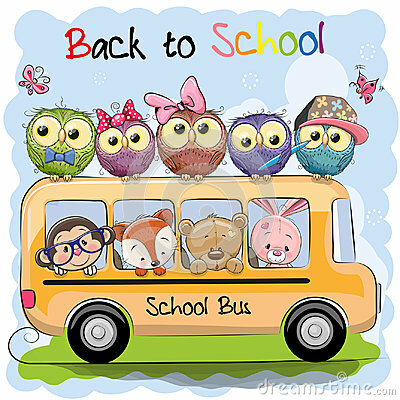 stock image of School bus front view vector illustration. Back to school. stock image of Back 2 basic signpost.